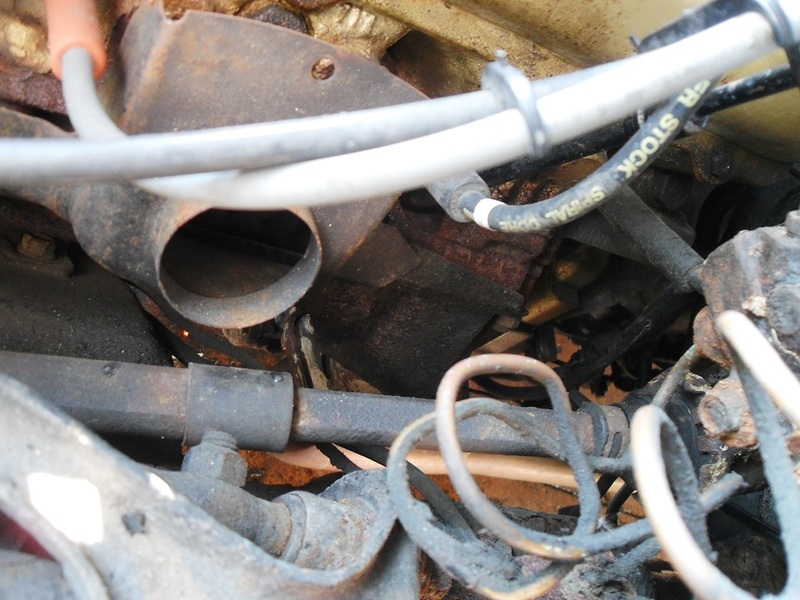 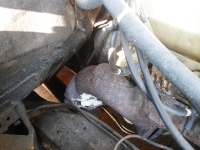 This Pontiac Firebird owner wanted more power from his motor, the current 403ci Oldsmobile just wasn’t up to it, rebuilt 2 years ago by another company it always fell short of expectations, never giving the performance expected and in fact it was going downhill fast, dripping engine oil and coolant everywhere and breathing like a factory chimney. 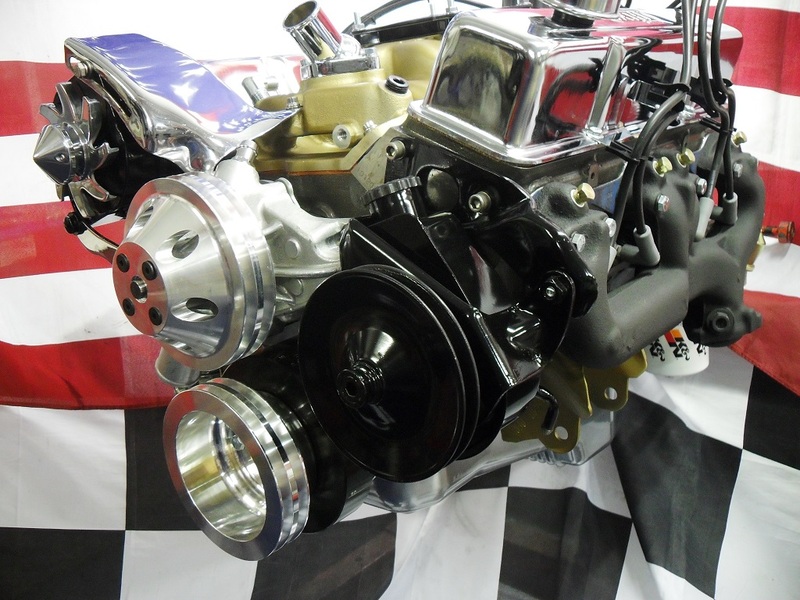 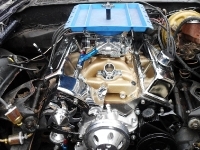 PROBUILD AMERICAN did all of the work, building the DART BLOCK with IRON EAGLE HEADS into a turnkey motor, removing the original Olds 403 and installing the 372ci Dart motor after we built it, all wiring, fuel and exhaust hook up, an aluminium radiator and new hoses were also fitted. 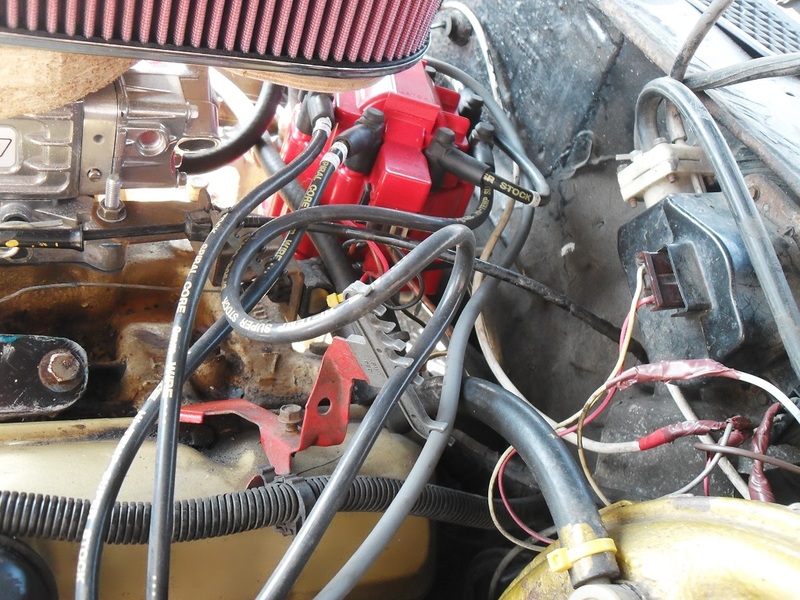 A new MSD electronic distributor, coil and MSD box were also wired in for maximum power to the plugs. 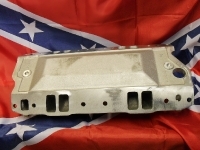 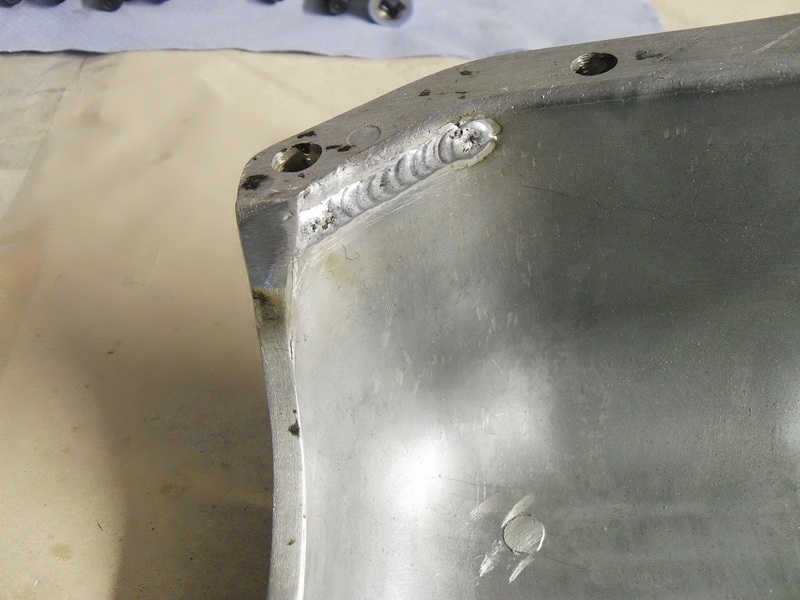 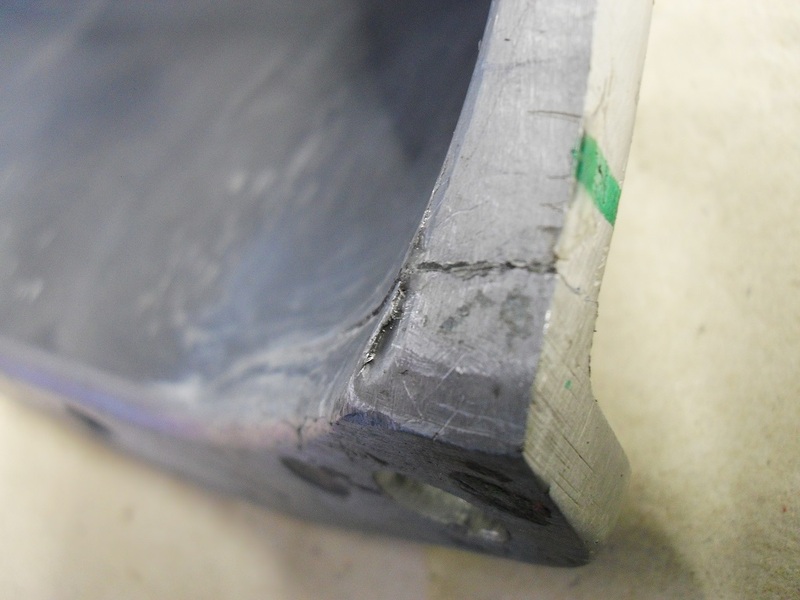 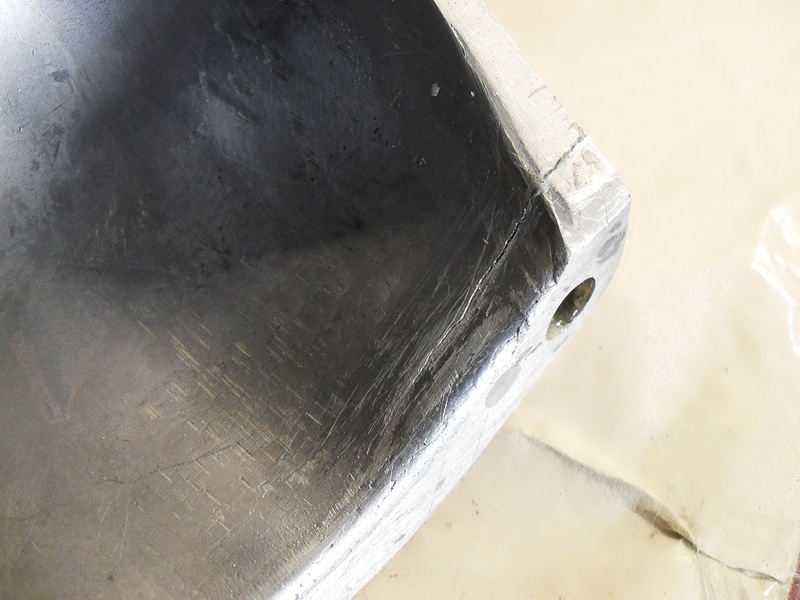 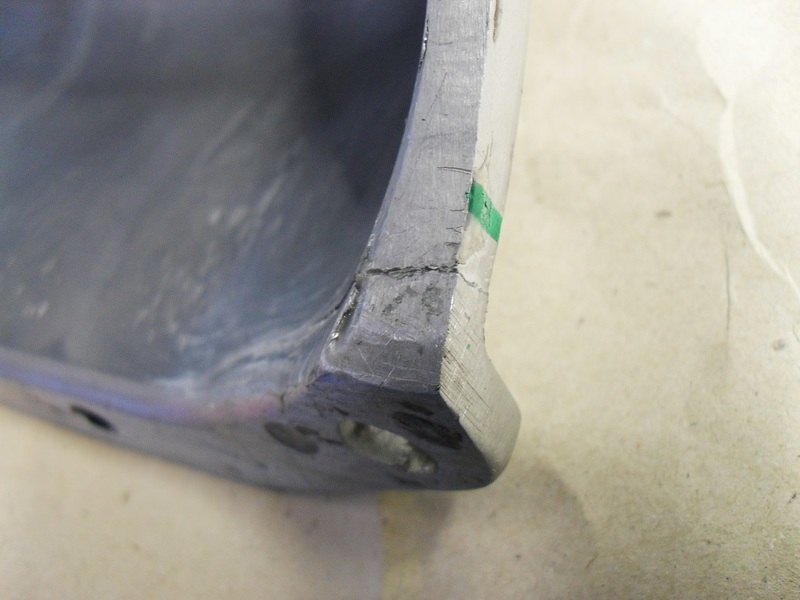 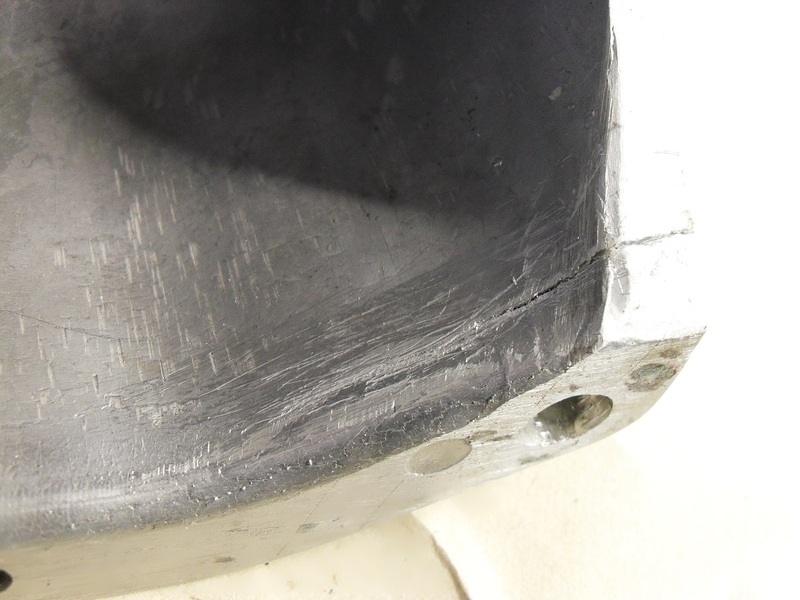 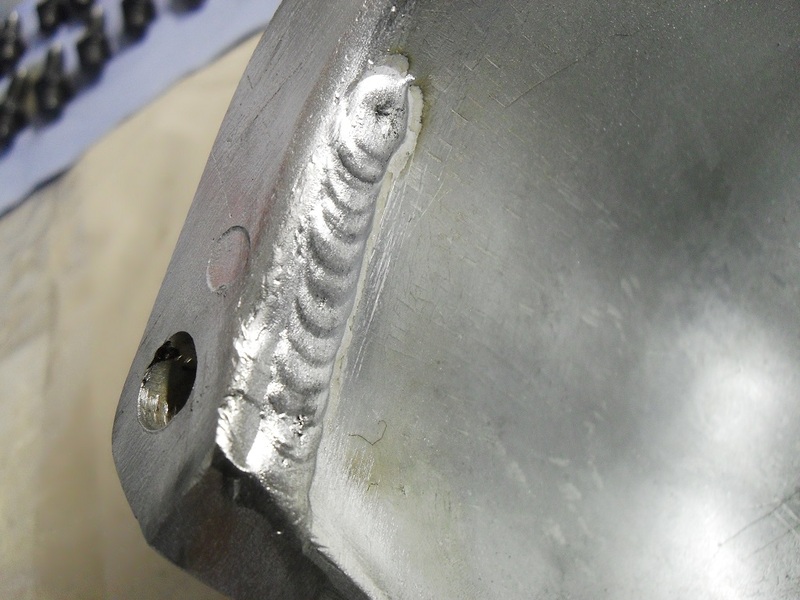 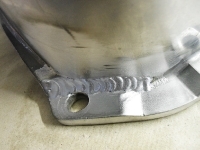 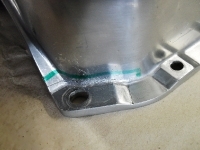 The aluminium oil pan that came in the package of parts was cracked so we had that welded. 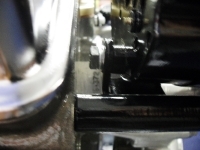 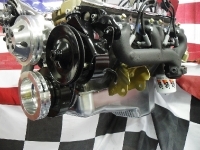 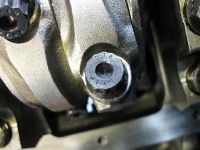 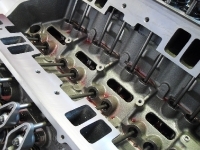 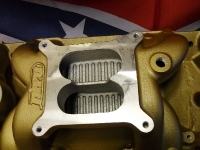 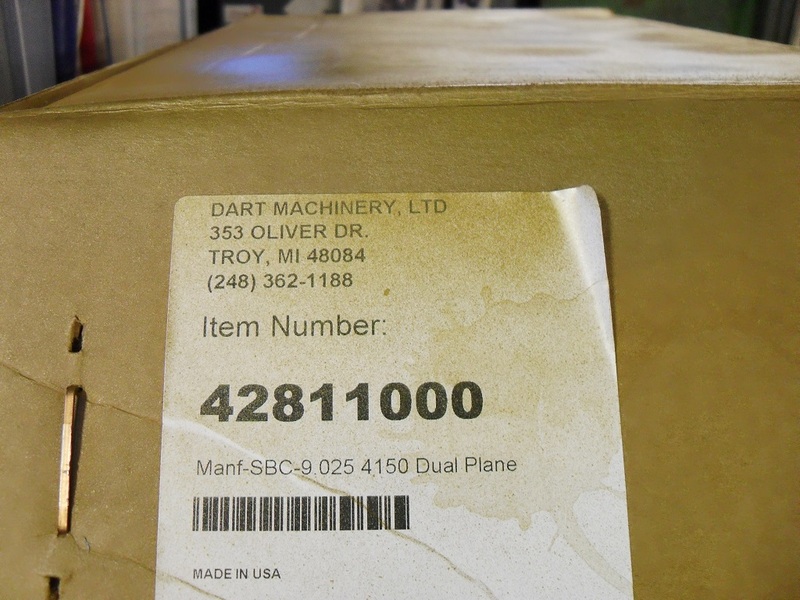 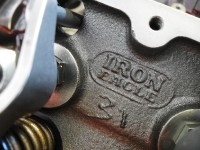 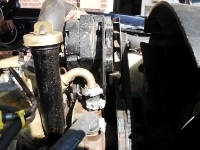 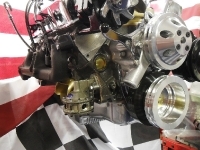 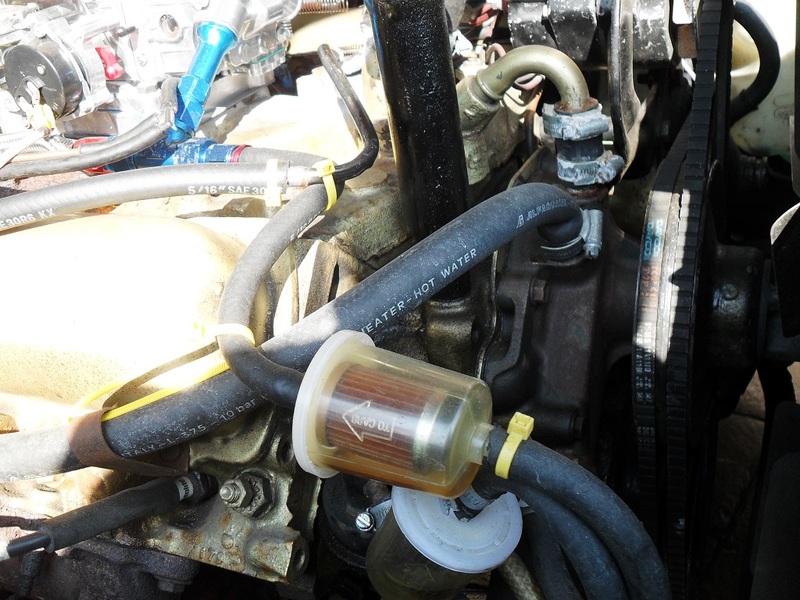 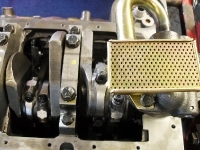 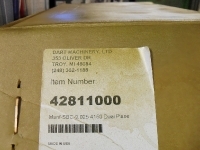 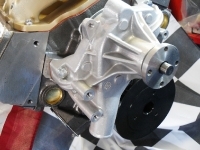 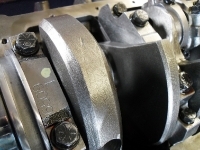 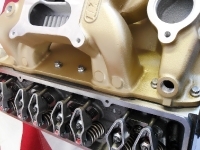 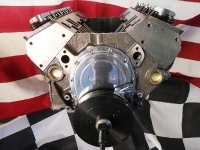 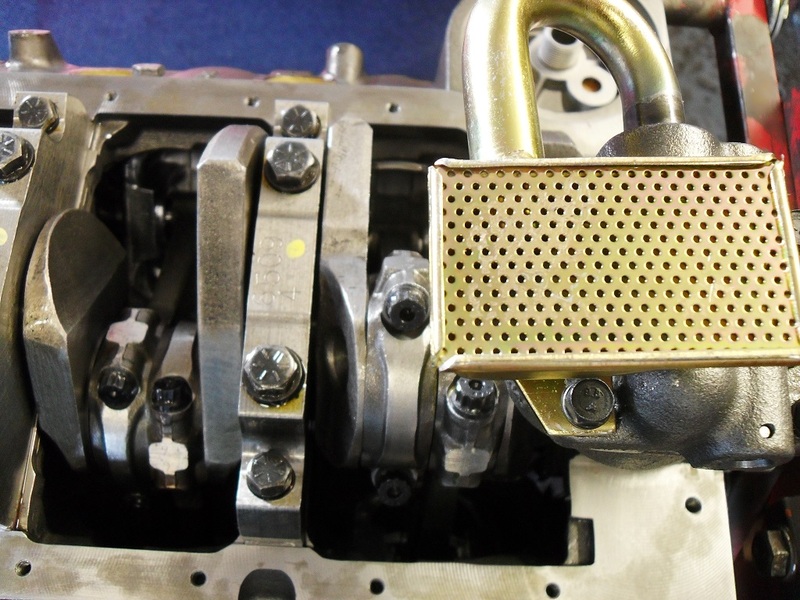 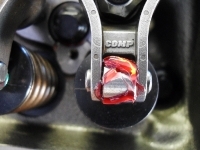 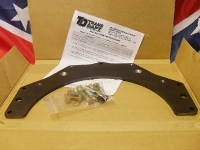 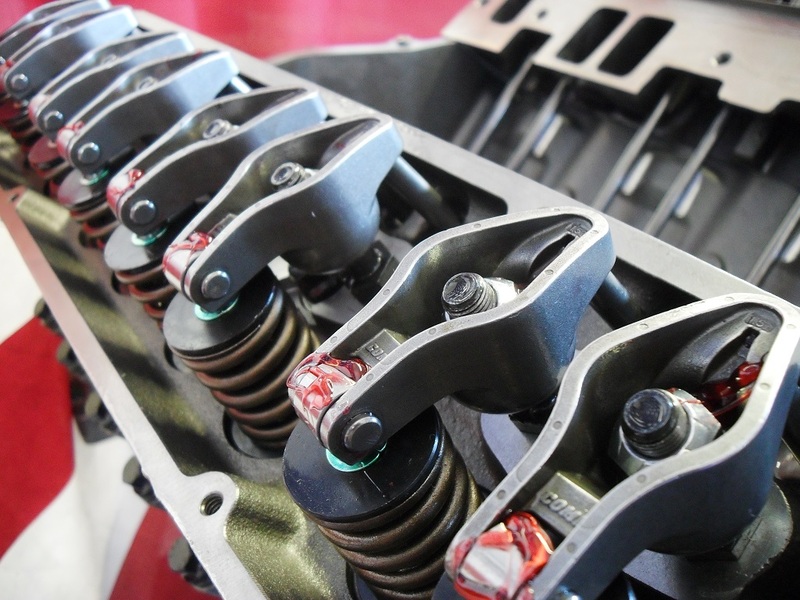 The intake used is a DART item, part number 42811000, ‘air gap’ style dual plane, we gasket matched it to the gaskets and the heads for a smooth flow of fuel charge into the motor. 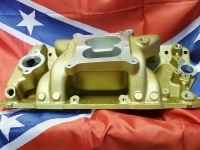 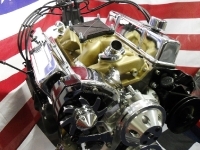 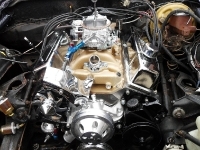 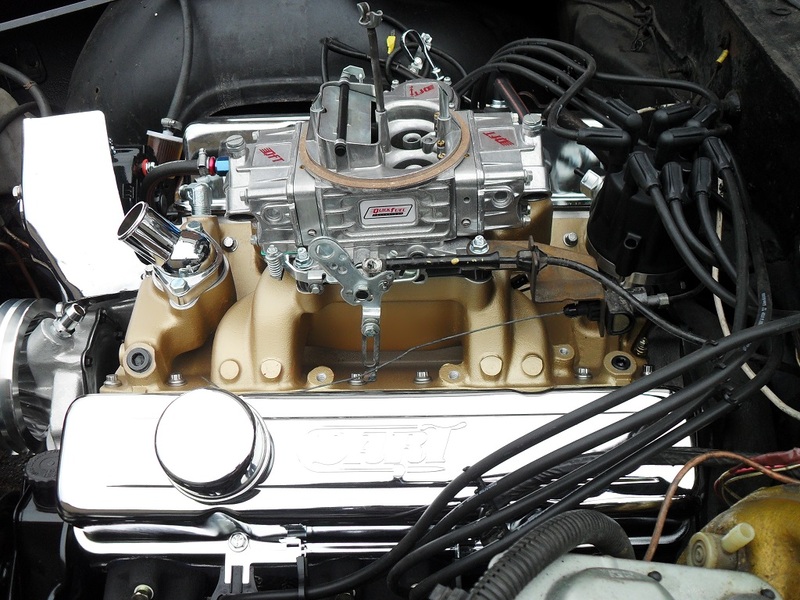 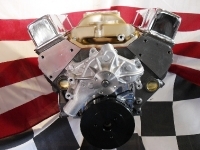 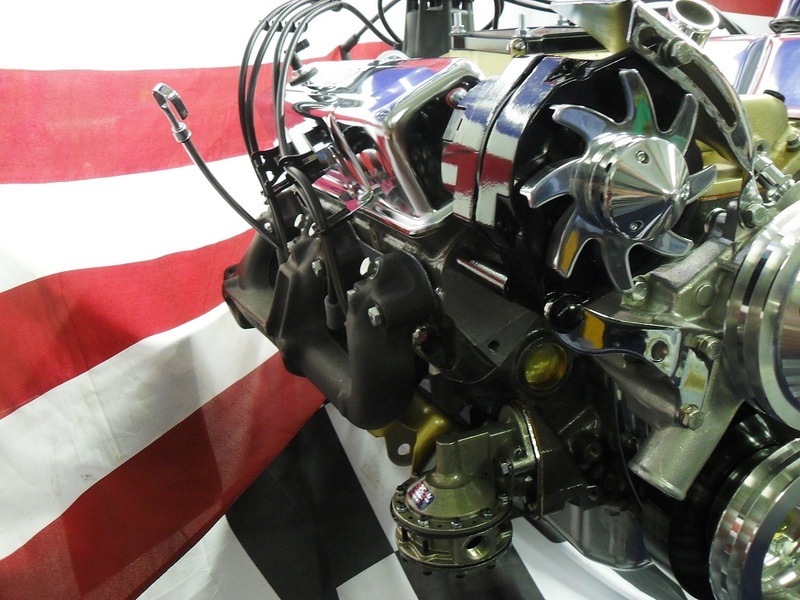 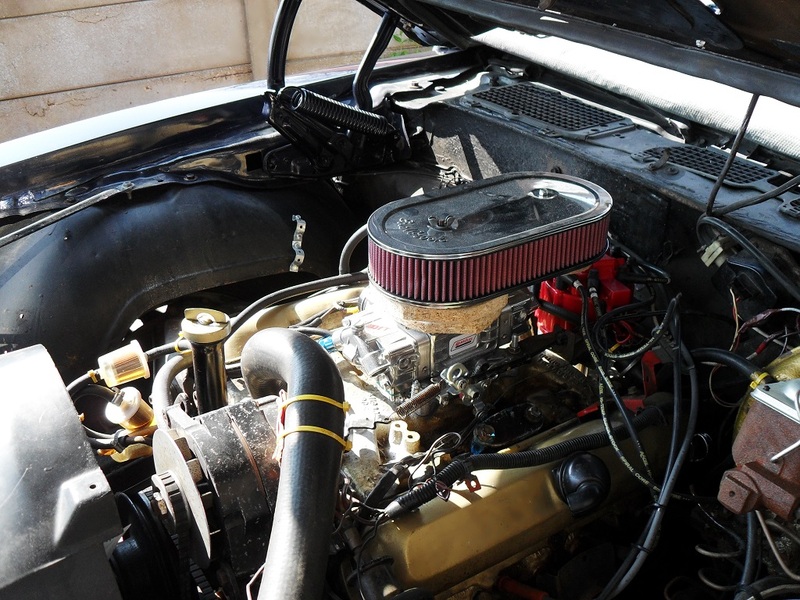 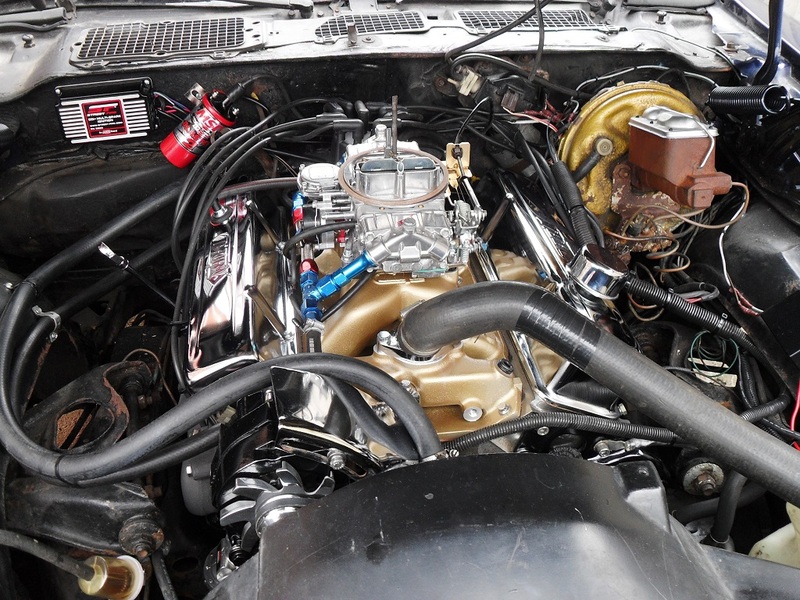 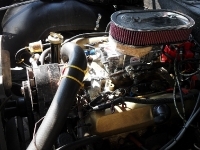 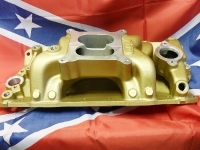 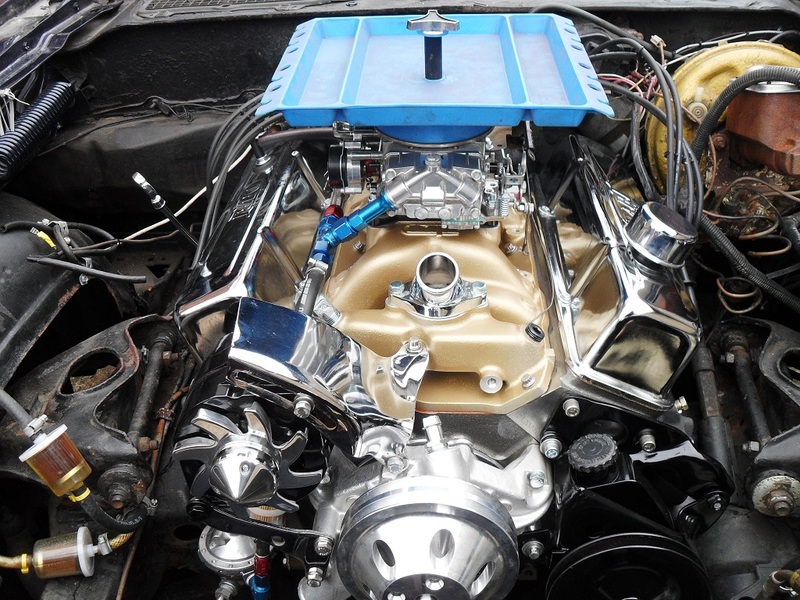 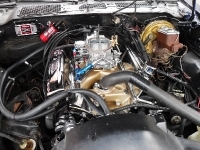 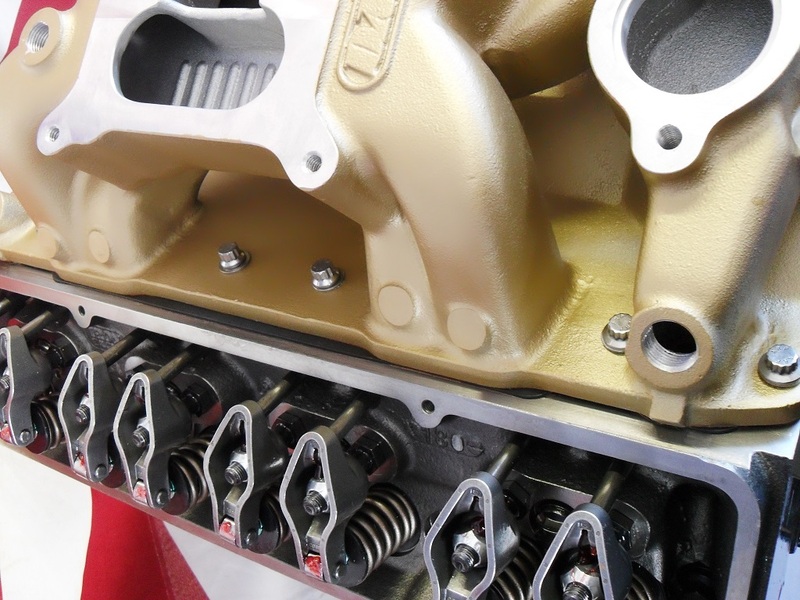 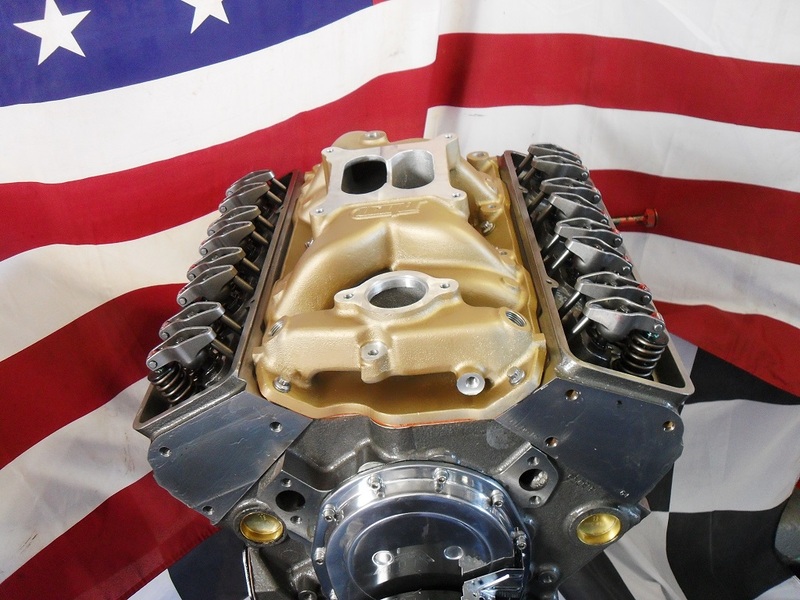 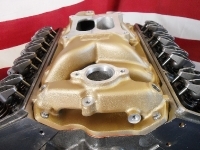 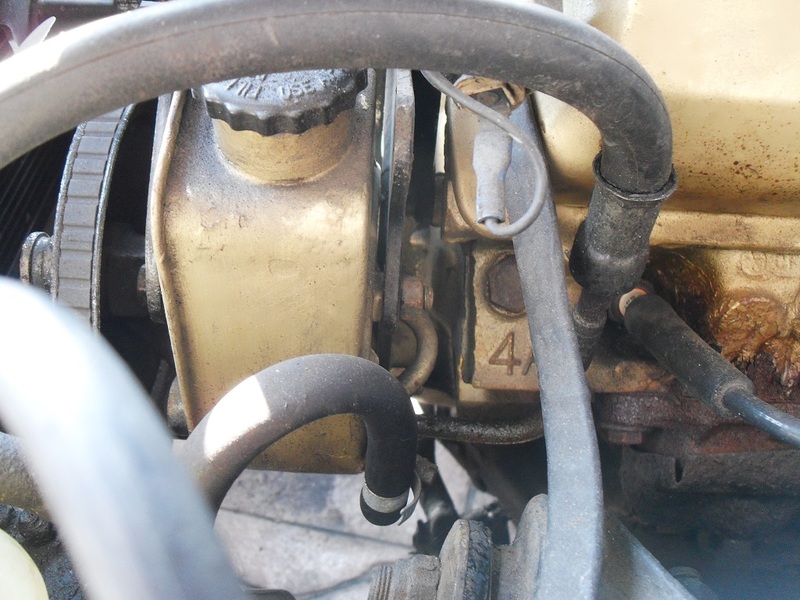 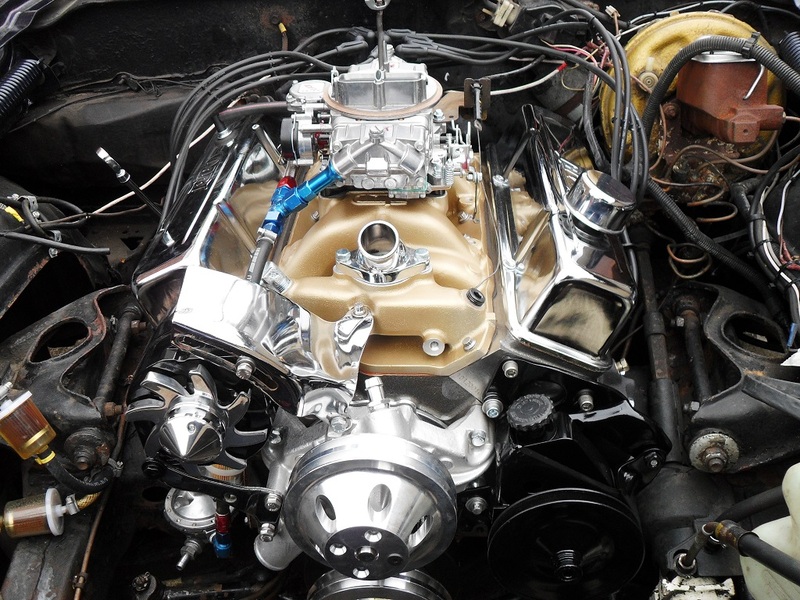 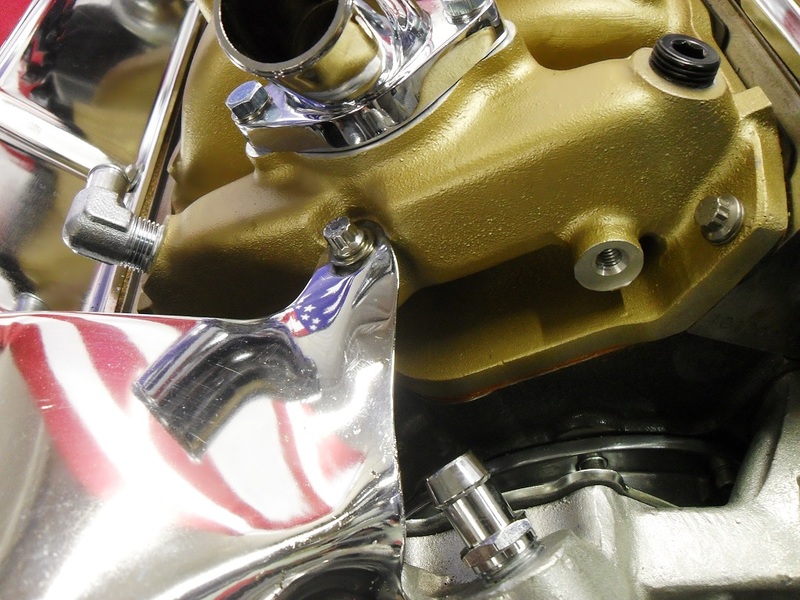 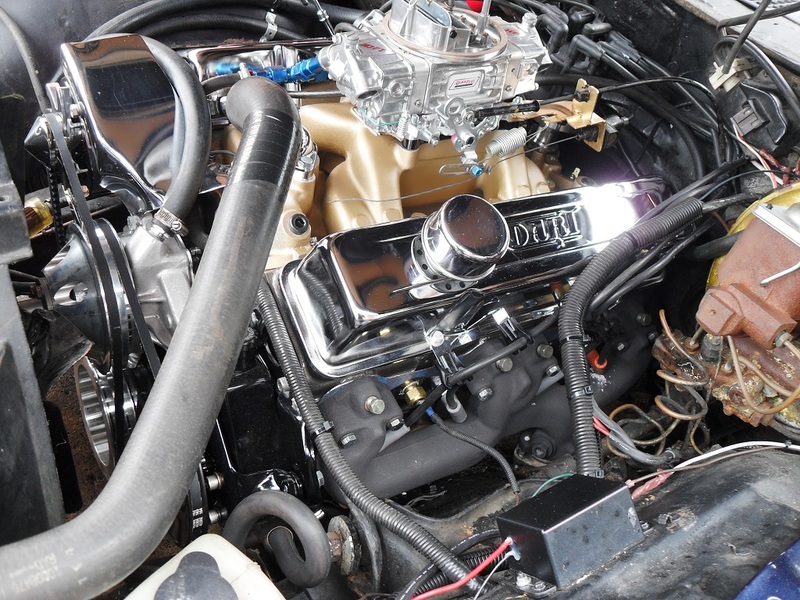 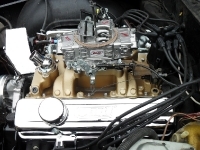 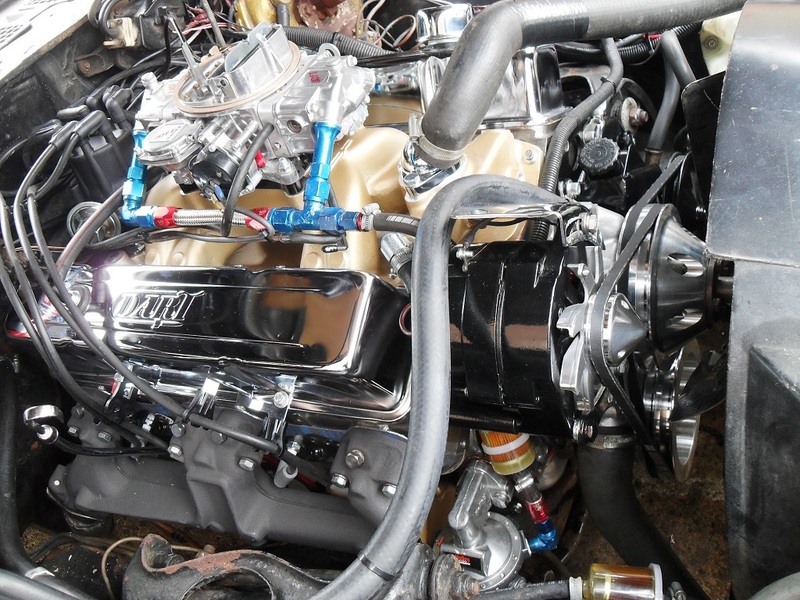 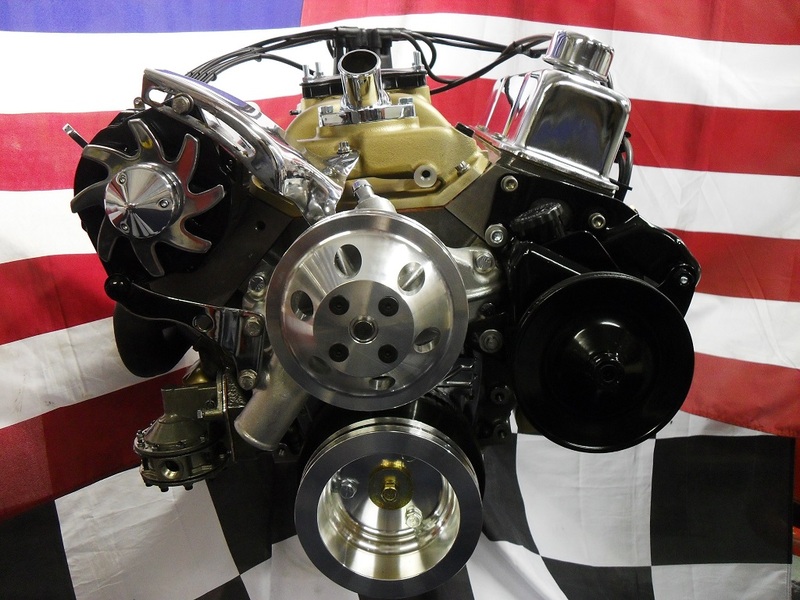 The intake was painted gold by the owner as the original Oldsmobile lump was gold. 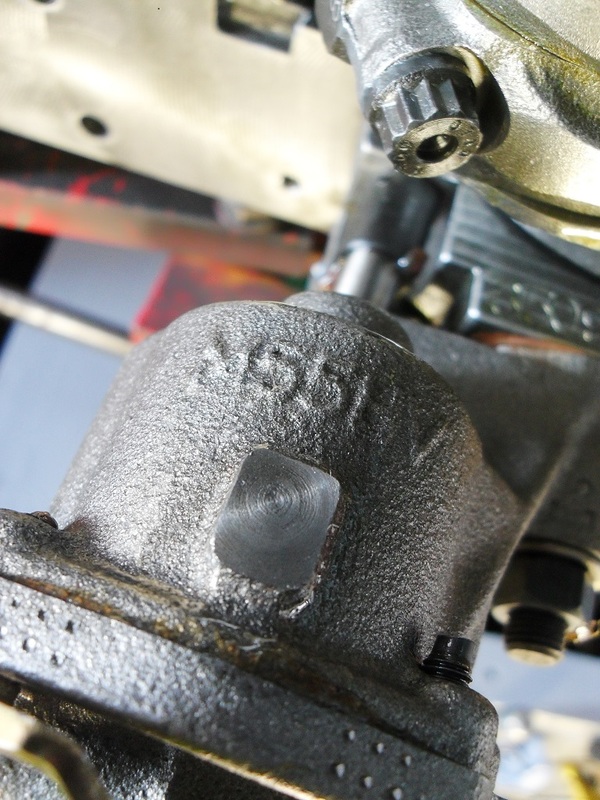 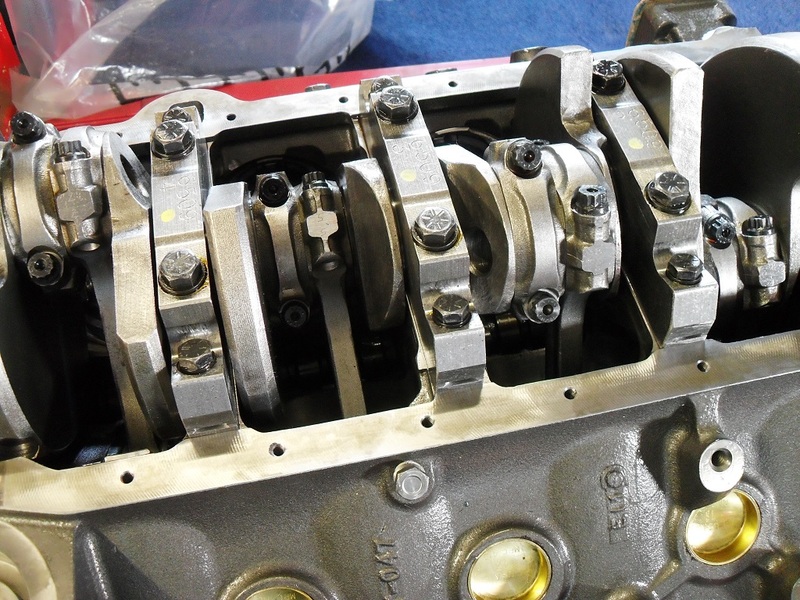 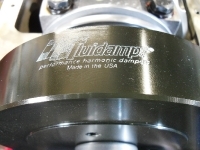 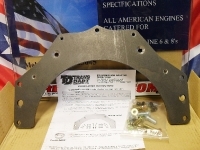 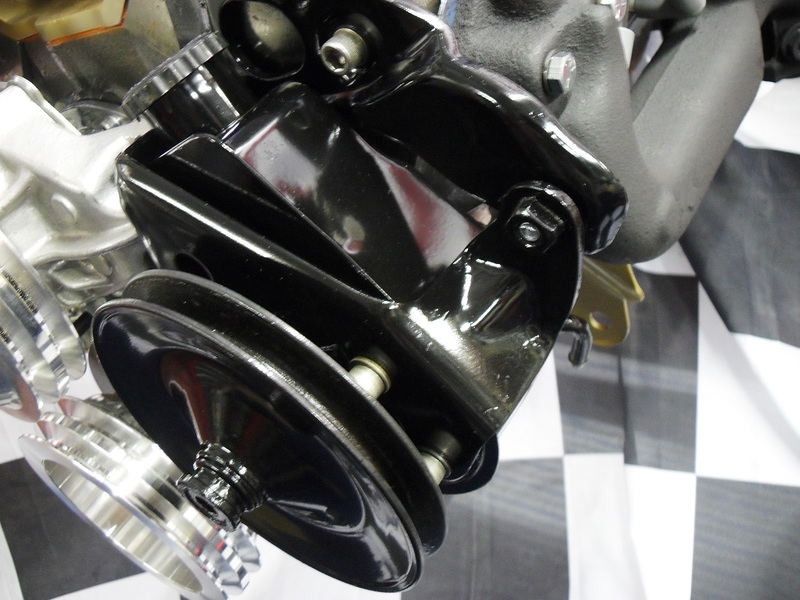 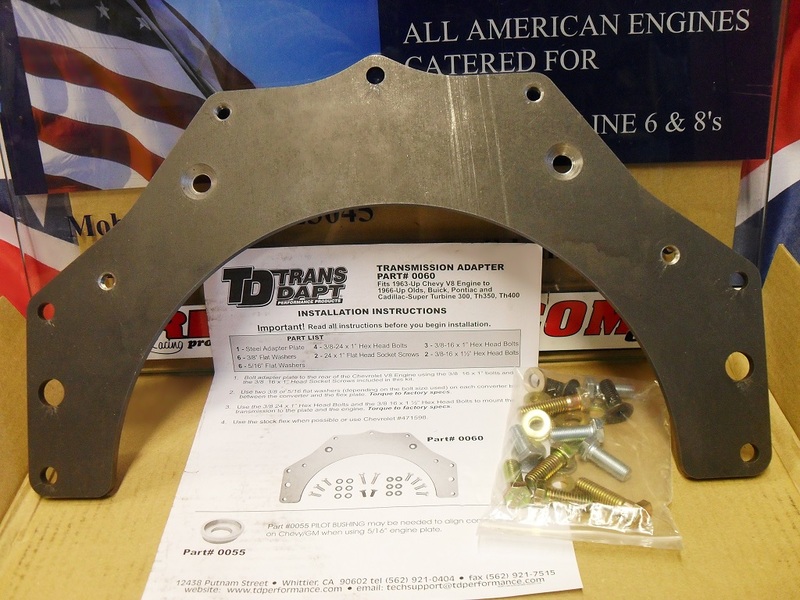 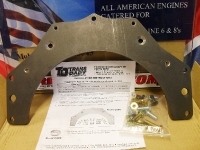 To mate the Chevrolet bolt pattern block to the Pontiac bell housing Turbo 350 we used a TransDapt adaptor kit. TransDapt no longer make adaptor kits, they sold that section of their business to Advance Adaptors. 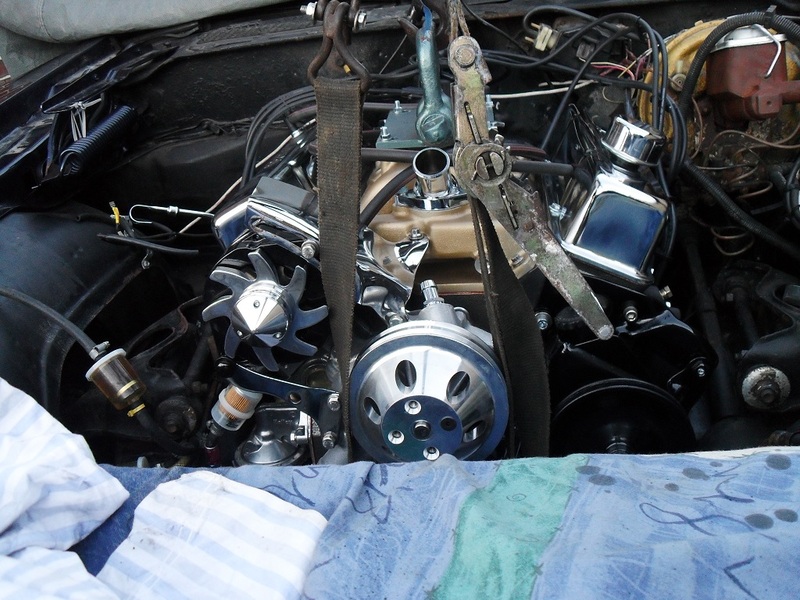 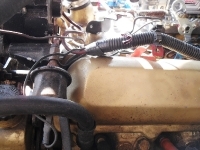 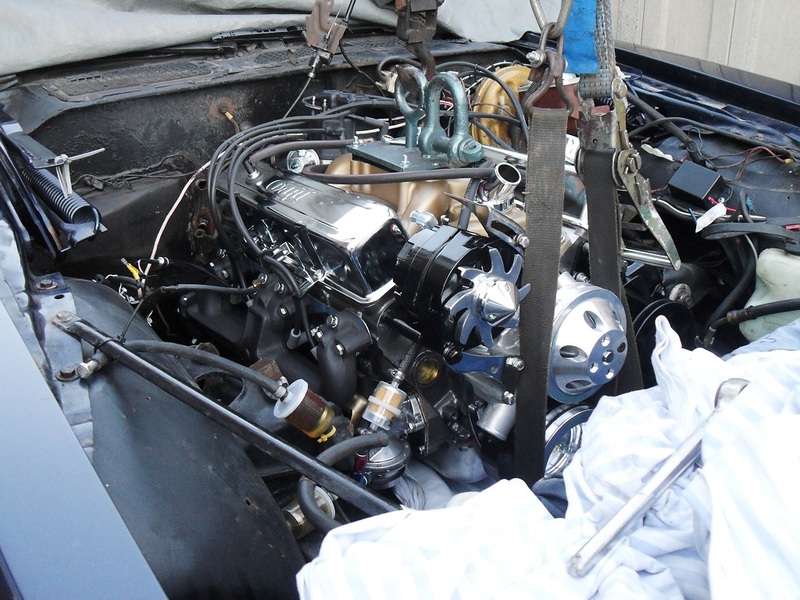 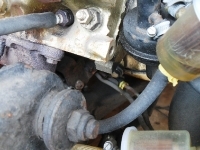 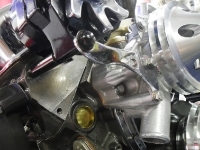 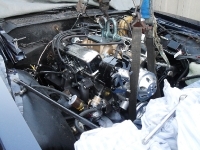 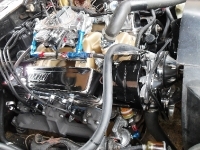 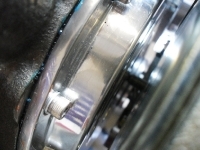 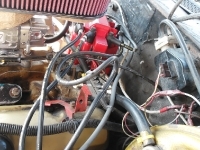 Mating the DART engine to the existing transmission and using a high stall convertor, the transmission was rebuilt not to long ago and should handle the extra power without any problem. 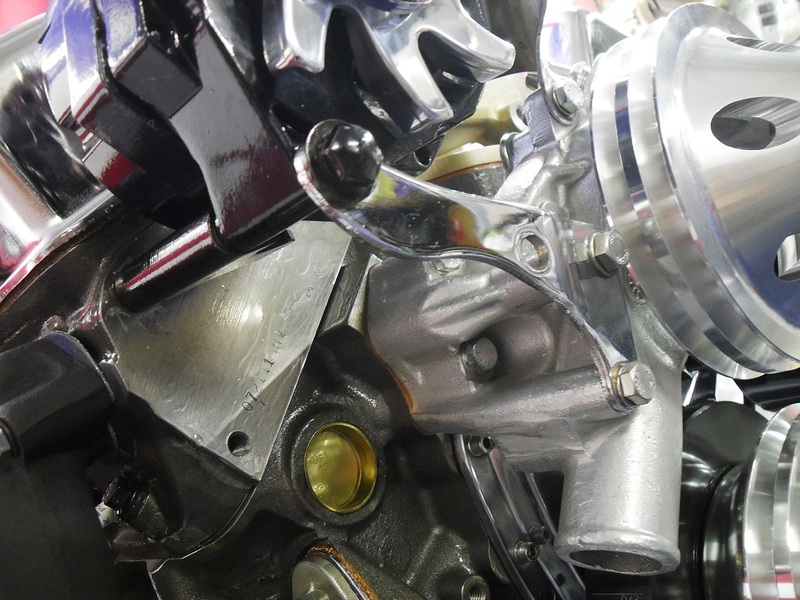 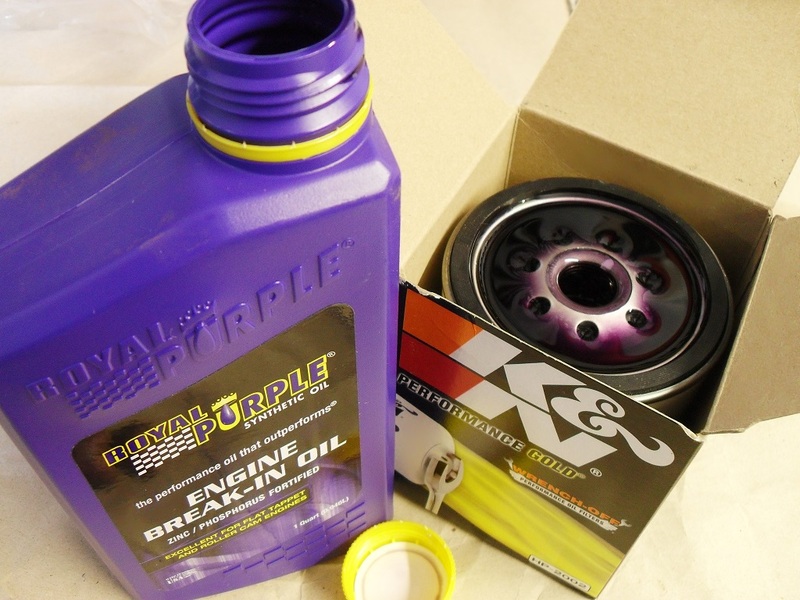 Royal Purple engine break in oil was used for the first fire up with a K&N oil filter. 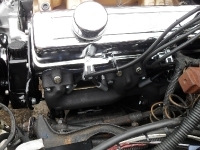 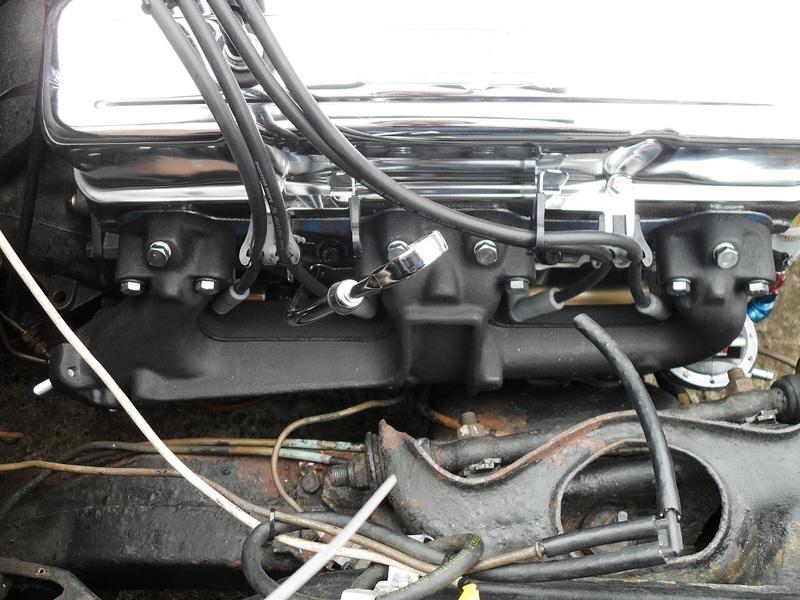 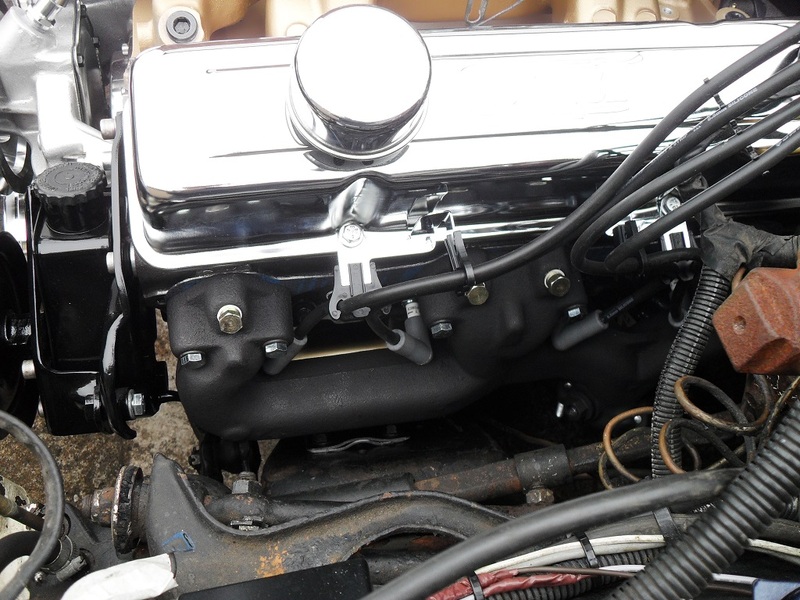 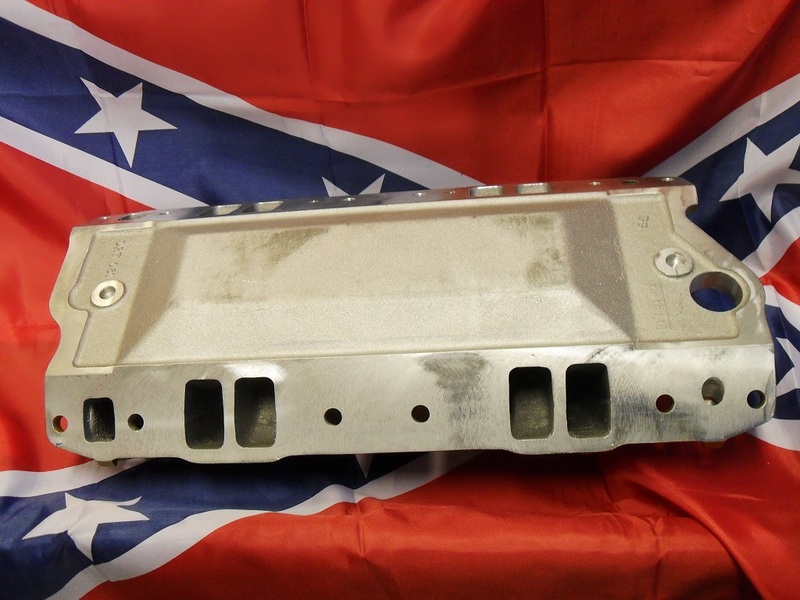 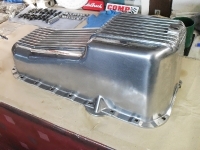 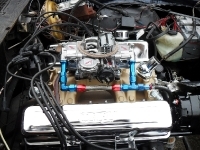 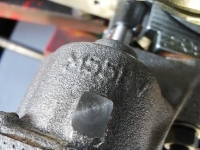 Exhaust manifolds were brand new items supplied by the owner and are original Chevrolet style cast manifolds. 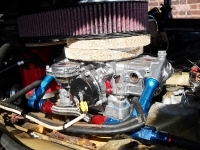 Fuel is fed in by a Quick Fuels vacuum secondary 4 barrel carburettor.